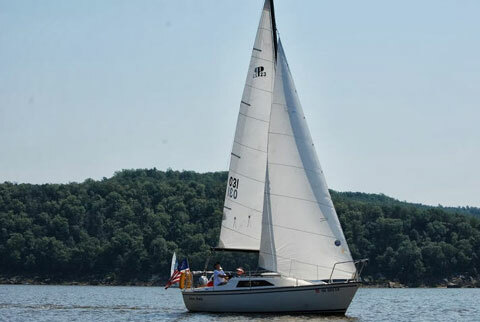 We have sailed "Laura Ann(e)", our Precision 23, on Keystone Lake in Tulsa, OK (Windycrest Yacht Club) since we purchase it 4 years ago. 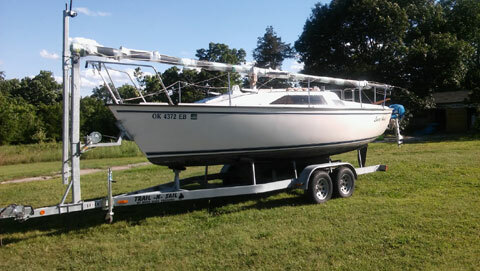 It is an awesome sailboat in good condition. 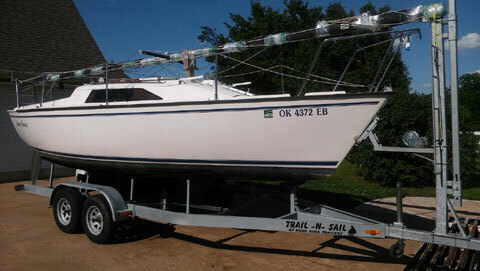 When we brought it home we spent several months scrubbing and polishing the hull and deck, replacing the windows and having the sails inspected and repaired as needed. 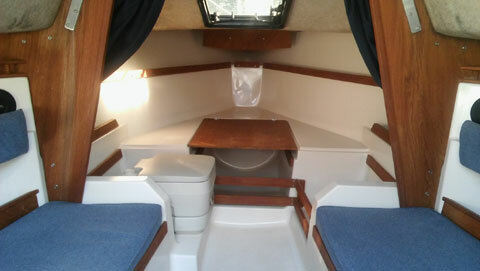 LOA 23' 5", LWL 20' 0", BEAM 8' 6", DRAFT, Board Up - 1' 11", Board Down 5' 4"
Sail area 248 sq. 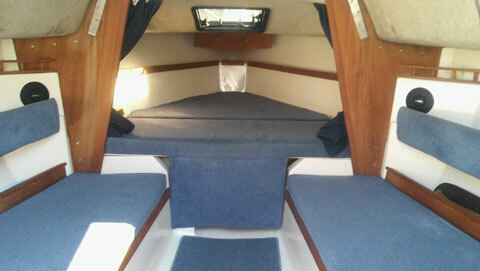 ft.
Mast height above DWL 35' 4"
Interior cushions have some wear spots and a tear or two in the fabric. Uniden MC 535 marine radio. Sony radio with aux jack (1/8"/3.5 mm) with Pioneer speakers. 2 year old boat cover made by The Sailor's Tailor. Honda 5 hp 4 stroke outboard motor. Runs great and we have never had any trouble with it. twin axle "Trail-N-Sail" trailer by Road King Trailers, galvanized steel, brakes (model 70 brake actuator, 7000 lb capacity by Tiedown Engineering), with mast stepping system. Trailer is in excellent shape. I believe the trailer is about 8 years old and still looks brand new. "Laura Ann(e)" is currently on its trailer at our home in Owasso, OK.